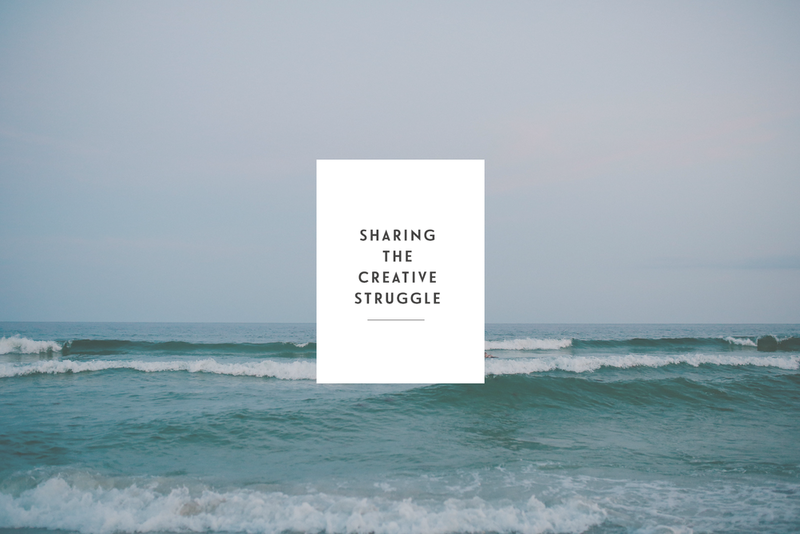 I’ve been thinking a lot lately about the importance of sharing the creative struggle. Whether you’re a working creative, or pursuing creative endeavours alongside a day job, especially online it’s so easy to sugar coat our experiences and make it look easy from the outside. We all want to feel like we have our life and our work together, that we’re on top of things, making progress, and moving forward on our goals and dreams. But whenever I spend time with my favourite creative friends, conversation will always turn to the creative struggle and sharing our own highs and lows that comes with pursuing a life of creative freedom. How many times in the past month have you admired someone online for their work and their successes and felt that sinking feeling in your stomach that it’s going to be impossible for you to reach your own goals and succeed in your path? Or is that just me? I’m drawn to creatives who share their story, their struggle, and give an honest presentation of their creative journey so far. The struggle is part of the journey and I think there’s something so refreshingly human about sharing it along the way. Pursuing creative endeavours isn’t supposed to be easy, we have to fight for what we want in life. With all the financial, emotional, and societal pressures we feel and with self doubt, creative block, and our urge to have everything figured out straight away, it’s easy to feel like we’re failing all of the time compared to everyone else around us. I see life right now as a mountain. On the other side is sustainability, financial security, and the life I want to build for myself. Right now I’m just at the beginning of things, slowly but surely making progress, and feeling both crazy excited and completely clueless on a daily basis. There are highs and lows at every stage of the creative journey. From finding your first clients in the early days, to dealing with overwhelming workloads and legal matters later on, whatever stage we’re at there will always be struggles. I think so many of us can feel this pressure to appear like we have everything together, that somehow sharing the struggle will make people respect us and our work less. But I think sharing our failures, embracing the bad times with the good, and being open and honest about exactly where we are now has so much more freedom and value for both ourselves and the people around us. So here’s to sharing the creative struggle, finding the beauty in overcoming obstacles and holding steady when times get tough, and refusing to give up just because it’s harder than we first thought. If you feel like there’s this huge mountain ahead of you that feels impossible to climb, just know that you’re not alone. You can do this.